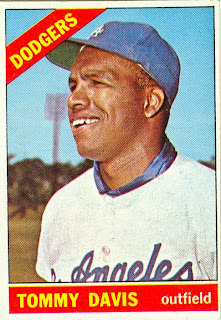 Davis was signed by the Dodgers in 1956, and played in their farm system from 1956-1959, making his major-league debut with 1 game in September 1959. 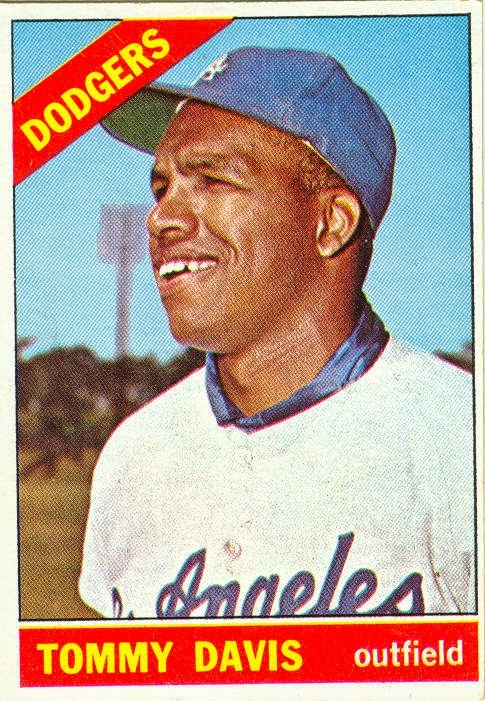 Davis made the Dodgers out of spring training 1960, and by late-July, he took over the starting center field job from long-time Dodger Duke Snider. Tommy started 52 games in center to Duke’s 44 starts. 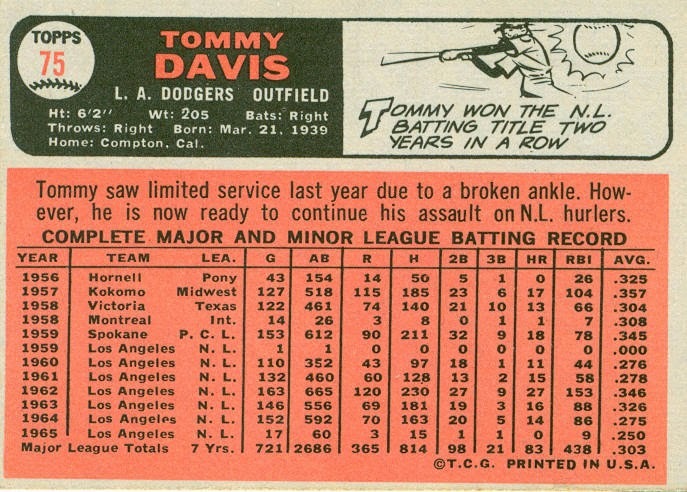 In 1961, Tommy began the season as the team’s 3rd baseman, playing 57 games there, mostly in the first 2 months. 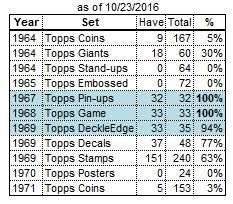 After that, he floated around the outfield, starting 31 games as Willie’s backup in center, as well as a few dozen games in the corners. 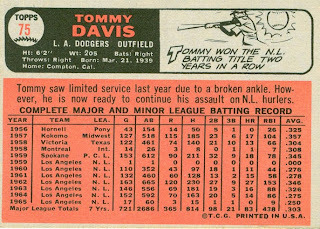 1962 and 1963 were Davis’ best seasons. He made the all-star team twice, and led the NL in batting twice (.346, .326). In 1962 he also led the league in hits (230) and RBI (153), and hit 27 homers. 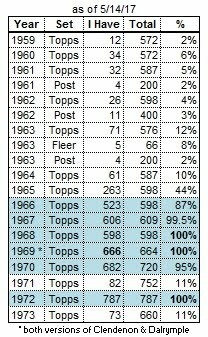 Davis started 100 to 120 games in left and about 30 games at 3rd base in both seasons. In 1964 he was primarily the left fielder, starting 148 games there, and another 10 in center. He started the first 16 games in left field in 1965, then a broken leg caused him to miss the rest of the season, except for a pinch-hitting appearance in the season’s final game. Davis was never the same after the leg injury. He played one last season with the Dodgers in 1966, but not as an everyday player. After 8 seasons with the Dodgers, Davis spent his final 10 seasons playing for 10 different teams. He was traded to the Mets prior to the 1967 season for 2nd baseman Ron Hunt and outfielder Jim Hickman. A year later, it was on to the White Sox (with pitcher Jack Fisher) for center fielder Tommie Agee and infielder Al Weis. The upstart Seattle Pilots selected him in the expansion draft prior to the 1969 season. 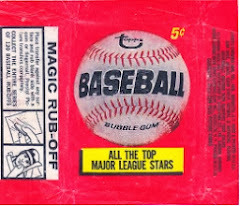 He played there until late August, when he was traded to the Astros. Davis played for THREE teams in 1970 (Astros / Athletics / Cubs), then made return trips to the A’s (all of 1971) and Cubs (part of 1972). His longest stint with any one team (post-Dodgers) was with the Orioles from August 1972 to February 1976. His 3 full seasons as Baltimore’s DH (1973-75) was his most playing time since 1969. After his release by the Orioles, Davis was signed by the Yankees prior to spring training 1976, but they released him 2 days before the season started. In early June, he was signed by the Angels, who passed him on to the Royals with 2 weeks remaining in the season. A January 1977 release ended his 18-year career. Davis appeared in the ’63 and ’66 World Series with the Dodgers, the 1971 ALCS with the A’s, and the ’73 and ‘74 ALCS with the Orioles.